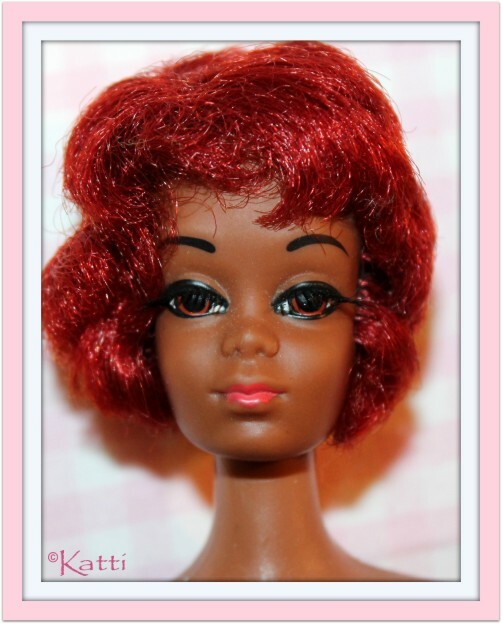 Barbie's first black friend was Christie. She came along in 1968, during the MOD era and was twisting and talking her way to our hearts.  Christie has arched eyebrows, sitting quite high on her forehead, giving her a kind of wondering look. Her hair style varies from afro bubble cut sort of style to a more straight bob, but still curly. 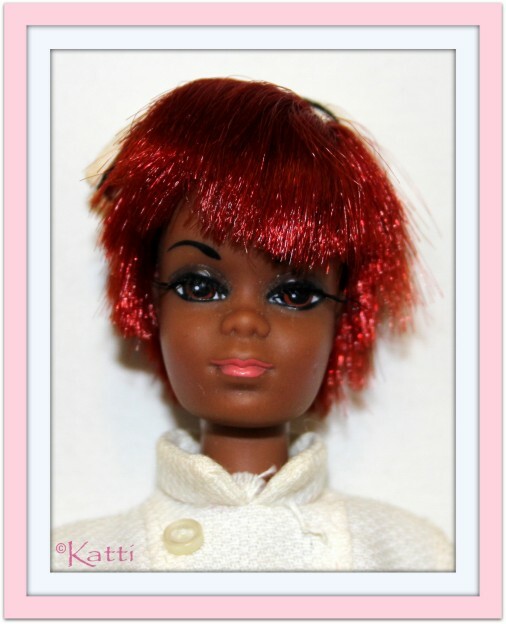 Most dolls have gone through a color change and the originally brown hair has oxidized to several tones of red. She has rooted eyelashes. 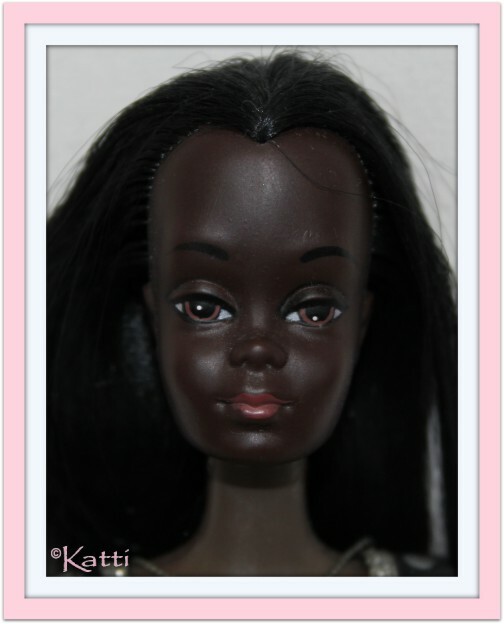 Malibu Christie was during quite a long period of time, the only Christie doll in the group and she had a darker skintone than before, sometimes changed into a sick green tone and straight, black hair, often thin. No rooted lashes. This face sculpt was used for Christie until the SuperStar era in 1976. Julia was a teve series, with Diahann Carroll as leading role of the Nurse Julia in 1968-1971. Julia used the Christie sculpt and even if they seems to be alike, there are several things that keeps them apart. Julia's eyebrows are lower, her hair is straight in most versions and parted on the left side. 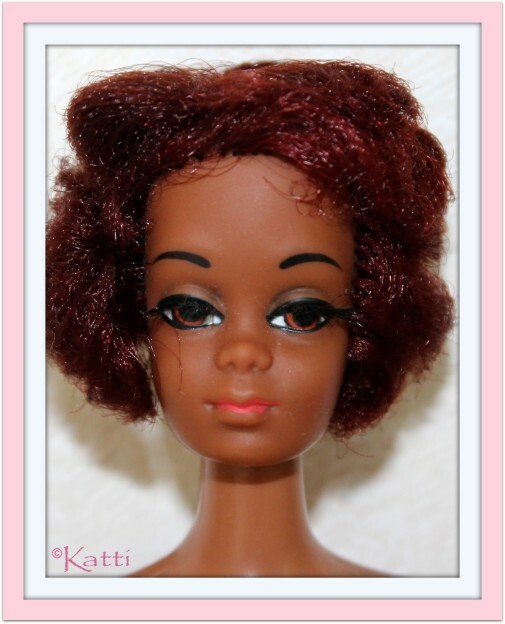 There is one version with an afro hair style, but the brows still gives her away. 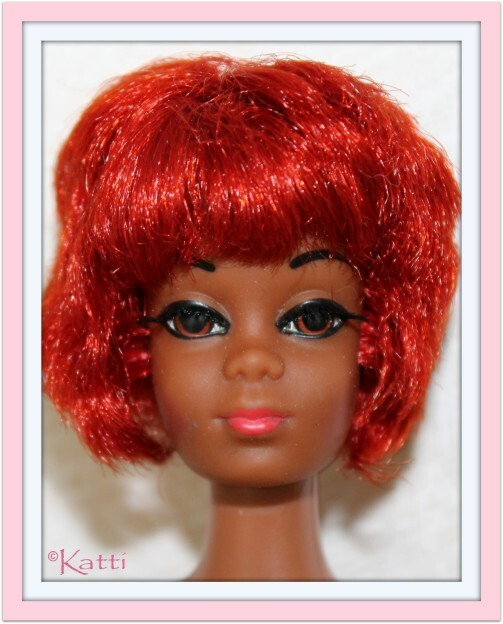 All Julia dolls had brown hair that in most cases has oxidized to a variety of red tones - as seen in Christie above. 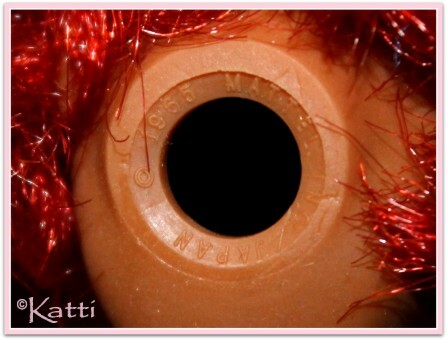 Rooted eyelashes. All Julia dolls, including the reproduction doll. Malibu Cara: There is said to be an Italian version of Malibu Cara, sold with a Malibu Christie inside (J. Michael Augustyniak has her pictured in his 'Photo Album' book). 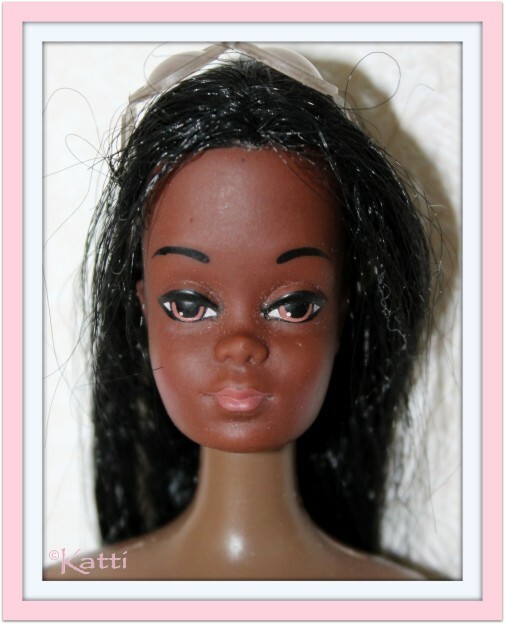 I think they just changed the name of the box, since Barbie's black friend at that time was Cara (although she was made with the Steffie mold).